Q: What is the sentence for drug trafficking in Trinidad and Tobago? "...a person who commits the offence of trafficking in a dangerous drug or of being in possession of a dangerous drug for the purpose of trafficking is liable upon conviction on indictment to a fine of one hundred thousand dollars or, where there is evidence of the street value of the dangerous drug, three times the street value of the dangerous drug, whichever is greater, and to imprisonment for a term of twenty-five years to life." Q: Can I be fired with immediate effect? 1. Not supporting managers in difficult work situations. 2. Harassing or humiliating staff, particularly in front of other less senior staff. 3. Victimising or targeting particular members of staff. 4. Changing the employee's job content or terms without consultation. 5. Making a significant change in the employee's job location at short notice. C - The employer dismisses the employee for an automatically unfair reason. An employer can terminate an employee's contract at any time for any legitimate reason, provided that they give the employee reasonable notice or compensation in lieu of reasonable notice. This means that the employee must be given minimum notice equivalent to the pay period; i.e., a weekly paid worker would require 1-2 weeks* and a monthly paid employee would require 3-4 or more* depending on the length of service. The employer also has the option of firing this employee on the spot and paying them for the notice period. 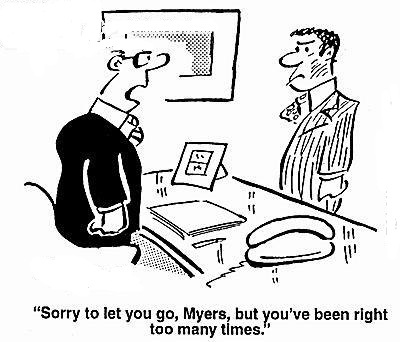 Wrongful Dismissal involves a breach of contract or the law regarding the contract as stated above. In other words, the "wrongful" is only associated with the WAY in which the employee was terminated, not the REASON for the termination. 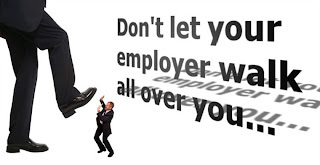 Wrongful dismissal occurs when an employee is dismissed without notice; too short notice; contrary to the terms in the employment contract; or when "a worker has been dismissed in circumstances that are harsh and oppressive or not in accordance with the principles of good industrial relations practice", according to Section 10(5) of the Industrial Relations Act 1972, as amended. *N.B. - A shorter notice period may be used if it can be justified. There is NO QUALIFYING PERIOD for Wrongful Dismissal, so an employee can bring a claim for this at anytime during employment.